This course is about more than appreciating artwork — it sheds light on untold stories and the history of America. 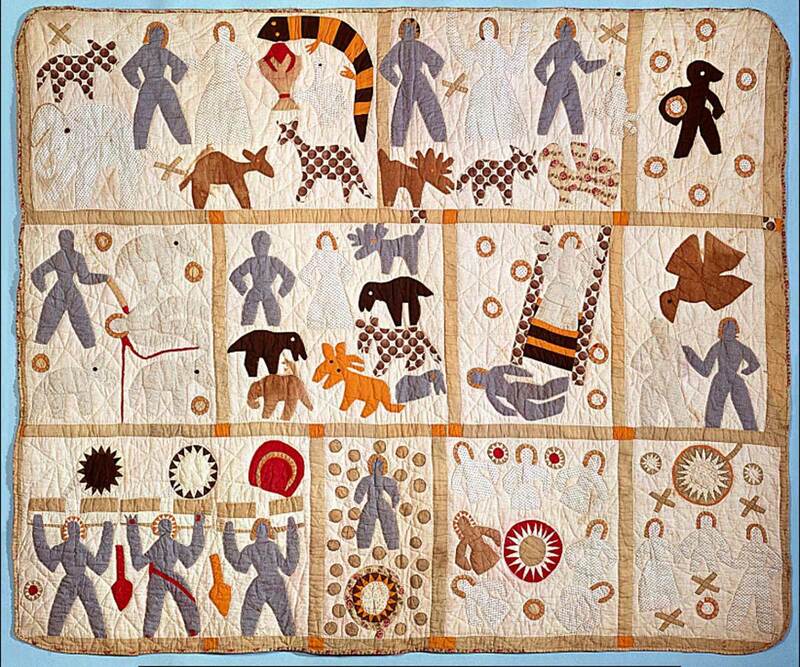 The story of African-American art and African-American history is the story of American art and American history. It’s really important that people learn the stories they relate to and are a part of their lives. I don’t think there is as many opportunities for that as there could be. I probably have more African-American students in this class than I do in any other class that I teach, and that’s a good thing, but I’m also really happy that I have Euro-white American students, as well. We are a country of immigrants and of hyphens, and I feel like we have a civic responsibility to learn about our shared cultural experiences and the differences in our cultural experiences and to have discussions about those in the safe environment of a classroom. Hopefully that influences the way people think about what’s going on in our world right now. Why are you passionate about teaching this course? I love this class. My area of research is modern American art history, and I’m often writing and publishing about representations of race and gender and disability. For me, art is really powerful and important. I think UCF has a great commitment to diversity and inclusion and equity, and I think we need more classes that tell the stories that aren’t told in other places. As society has progressed, are more African-American artists and their work being recognized? We just had eight years of our first African-American president and first lady. With that the National Portrait Gallery welcomed the first two portraits made by African-American artists — Kehinde Wiley and Amy Sherald. No other president or their wife has had their portrait made by a person of color. In many ways there’s so much to celebrate and in other ways there’s so much work to be done. Of the artists you’ll review in this class, who are some that everyone should take a closer look at? Jacob Lawrence and Richard Wright. 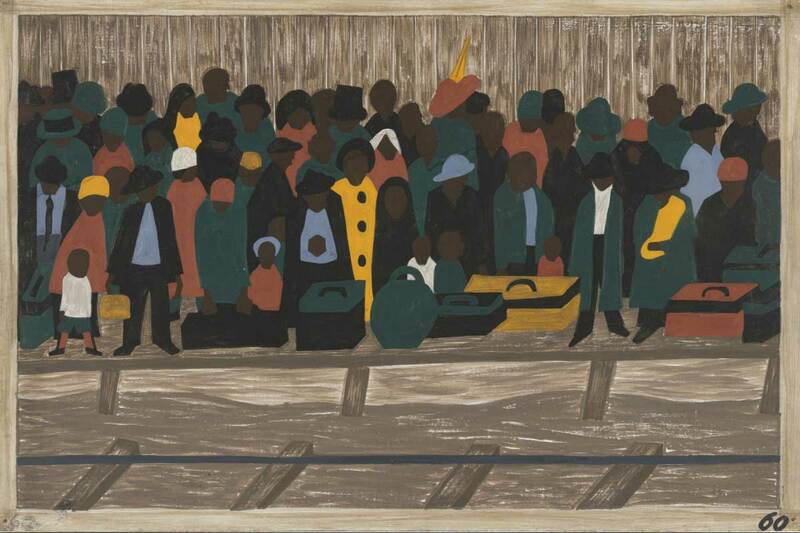 Jacob Lawrence’s “Great Migration” is a series of small paintings and Richard Wright’s “12 Million Black Voices” is a photo book published in 1941 also about the great migration. Both Lawrence and Wright used their work to confront slavery, Jim Crow and systemic racism. Similarly, Augustus Savage was an artist in the 1930s and a teacher of Jacob Lawrence. She had a sculpture at the 1939 New York World’s Fair that was called “The Harp,” which was an installation strongly influenced by the song “Lift Every Voice and Sing.” There are so many contemporary artists that it’s hard to choose. There was recently an exhibition of Nick Cave’s work at the Orlando Museum of Art, and he’s doing some really interesting things right now where he repurposes racist ephemera of the 19th and 20th centuries into installations that confront mass incarceration and police brutality. I took this course because I was hoping to learn more about my history, how African-Americans played a role in the arts and to learn about the techniques that they used to maybe incorporate into my own style. What is the most interesting thing you’ve learned so far? How the Haitian Revolution affected slaves in America. Specifically in Louisiana, slave owners heard about the revolt from those that had escaped and found out about a revolution slaves were planning in the States, which led to a merciless onslaught of anyone involved. It was just gruesome. I’m surprised it’s my first time hearing about it, but I’m not shocked. What is the most challenging aspect about the class? The most challenging part of the class may be doing all of the readings, but if you plan it out, it’s easy to get in front of them and stay ahead. I truly enjoy the guest speakers we get like those from the Smithsonian’s National Museum of African American History and Culture in Washington, D.C. Or our guest from Germany, whose maternal grandfather was a black soldier fighting for the Allies and her paternal grandfather was a Nazi soldier. She did a photo book about her family’s heritage that she shared with us. It’s always eye-opening whenever we have someone taking the time to share their story and different opportunities.